Many world-changing thinkers, engineers and performers have attested to the inspiring quality of psychedelic experiences. But what is it about these experiences that may support the creative flare? The latest science can help bring some clarity to this pioneering mystery. Musicians, painters, dancers, designers, and other artists all have the urge to externalize inspiration through a given means. They all have access to something mysterious and often deep. But how is this access gained? 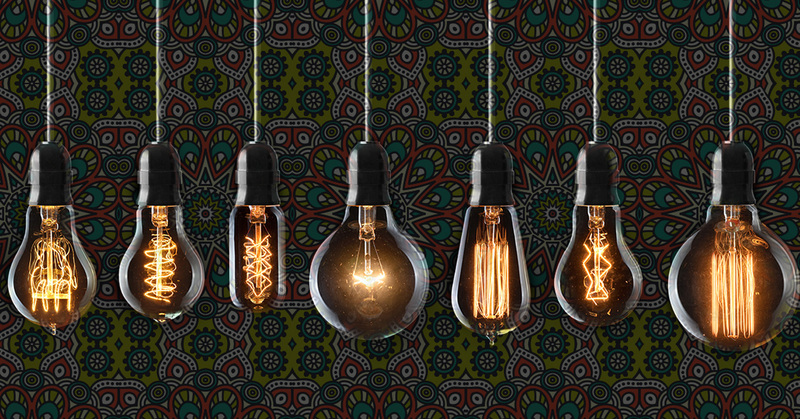 Being creative is hardly limited to a subset of individuals who possess the elusive “it”. We are all drops of the infinite, and, as such, we hold in ourselves the potential to reflect this infinity. Highly creative people tend to be less self-conscious about putting themselves out there and projecting what lies inside and beyond. Read on to learn about the science of creativity and how psychedelics, such as ayahuasca and LSD, can possibly help us access this pool of inspiration. As an intangible concept, creativity has proven to be difficult to describe theoretically and to measure practically. There are many different accounts that make more or less sense, the most relevant for this discussion being J. P. Guilford’s distinction between convergent and divergent thinking. According to Guilford, convergent thinking describes the process of arriving at a correct solution to a query or problem, and divergent thinking is concerned with how we measure creativity. It denotes an approach that involves connecting the seemingly unconnected and coming up with diverse answers that may not be optimal but are nonetheless original, different, and divergent. In psychology, creativity closely relates to the flow state, or being “in the zone”, a state of peak performance. This concept is often invoked in the psychedelic community due to its similarity with the effects of various mind-altering substances. Flow refers to complete devotion and absorption with what we’re doing. It’s a state of focus we enter when committed to the task at hand. This commitment allows us maximum efficacy and subconscious, almost supernatural, control over our actions. Flow can be accessed and accelerated during a creative act. It invokes feelings of disinhibition, freedom of expression, awe, and timelessness. Both creativity and the flow state impact a system of the brain called the Default Mode Network (DMN). This is a diverse neural system whose expanse of functions is not completely understood. However, from what we know about it, one of the DMN’s roles is the regulation of self-relevant mental simulations and the memories and associations that form them. In layman’s terms, it’s thought that the DMN is responsible, at least in part, for our consciousness and sense of identity. 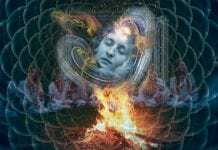 This system takes over during states of wakeful rest and mind wandering, when attentive processing subsides. However, it’s been shown to also be activated by tasks that relate to ourselves or others (social or autobiographical tasks). This is important to understand because the DMN is thought to be a system that holds the ego together. It does this by keeping us consistently aware of who we are, based on our memories, future projections, and, possibly, the ideas we have about other people’s perspectives, which may extend to ideas of how we are perceived by others. 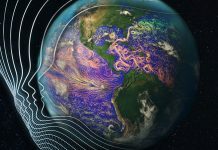 Therefore, the secret to ego dissolution, which is a mysterious phenomenon associated with flow states and psychedelic experiences, might very well lie within the brain’s DMN. This is where things get interesting, because both psychedelics and divergent thinking engage the DMN, though in different ways. And psychedelics have been shown to increase levels of divergent thinking in problem-solving tests. From what we have to go on so far, psychedelics such as psilocybin, LSD, and ayahuasca are known to produce profound changes in the sense of self and consciousness. Studies have revealed how these changes correspond to fundamental alterations in brain functioning. The DMN itself seems to quiet down significantly, implying that our self-conceptualization may not be as clearly defined as it is in a normal state of consciousness. Better put, our sense of self doesn’t mediate what we are thinking about and feeling to the level it does in regular states of consciousness. This could possibly give us more freedom to experience reality without the constraints and judgments that usually come from our egos. Psychedelic experiences produce novel connections between centers of the brain that do not communicate by default. Of special significance are the associations that form between the visual cortex and normally unrelated areas that process sensory input and emotions. These activations correlate with self-reports of visions and hallucinations. Anyone who has experienced the synesthetic effects of psychedelics will agree that they are inspiring in how they show us the potentials of our imaginations or, otherwise, the limitless astral pool of multidimensional stuff that can appear during a strong psychedelic experience. The functioning of the brain on psychedelics, on the whole, seems to become simpler and reorganize itself into a more unified state. This might account, at least in part, for the feelings of “oneness” people often report accompanying these states. As an example of this, the DMN, whose level of activity is lowered in psychedelic states, apparently forms connections with what is known as the Task-Positive Network, which is activated during engagement in goal-oriented tasks. Normally it is completely unrelated to the DMN (sometimes even referred to as the Task-Negative Network). It is no coincidence that this seems to be exactly what happens during divergent thinking too. Neuroimaging studies conducted with musical improvisation show that associations form between brain systems that regulate controlled, goal-driven behavior and spontaneous thought. Preliminary research has examined the impact that psychedelics have on creativity. In 1955, Louis Berlin examined the influence of a dose of mescaline or LSD on the painting abilities of four nationally acclaimed artists. A panel of critics judged their work as having “greater aesthetic value” than what they normally produced. A similar study on the effects of LSD was conducted by Oscar Janiger in 1959. After the 1970s global crackdown on psychedelics, there wasn’t much going on in the field of psychedelic research for some time, and most of the studies focused on more critical matters, such as the influence of psychedelics on mental health. However, recently, there has been a resurgence of interest in this topic. 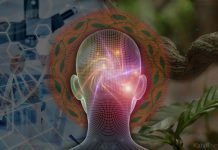 A group of researchers led by Kim Kuypers has found that levels of divergent thinking are increased under the effects of ayahuasca. The scientists measured creative thought with two tests, the “pattern/line meanings test” (PLMT) and the “picture concept test” (PCT). The former test showed no significant difference in the results before and after taking ayahuasca; the participants apparently found the task “dull” due to lack of color. However, the scores differed significantly on the PCT test, which included colorful pictures of real and fantastic objects. 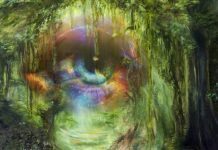 It appears that convergent thinking declined under ayahuasca, as the participants were not able to find as many “correct” solutions; however, their answers were much more diverse and abundant during the ayahuasca session. 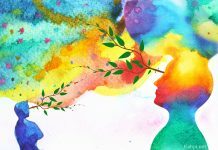 Ede Frecska, a well-known Hungarian psychiatrist and ayahuasca researcher, found similar effects using the Torrance Tests of Creative Thinking before and the second day after a two-week long ayahuasca retreat. His study showed that higher levels of creativity persist even after the strong effects of the brew wear off. 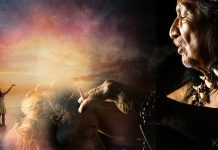 This suggests, as has been shown in other research, that the new brain cells and neural connections formed by ayahuasca seem to alter, or, safe to say, enhance the brain’s functioning on a more permanent level. This recent research tries to measure divergent thinking by testing participants with tasks that require them to create solutions, and it still refers to this process by the same name ­­—creativity. However, this brings a need to make a distinction between divergent thinking in a problem-solving context and creativity in a more artistic context where there are no problems nor solutions, and the generation of original content is the point. 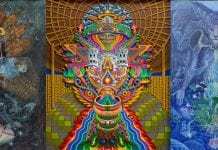 More research involving psychedelics is needed to determine the extent to which they may enhance this other, purely generative, or artistic, creativity. Still, all of this data gives us a solid foundation for the conclusion that the creative and the psychedelic states share similarities, in that they both seem to alter how the brain functions. They both influence the Default Mode Network, which is thought to have much to do with how we see ourselves. Under a psychedelic state, this network sees a reduction in activity, possibly indicating the sidestepping of the ego. During free-flowing creativity, such as jazz improvisation, however, there is an increase in activity in parts of the DMN, which is possibly related to the artists’ expression of their unique, subjective musical perspective. This brain system is just far too complex to understand fully, and these conclusions are, therefore, speculative, but it’s interesting to know that a neural network that is associated with self-perception responds to both creative and psychedelic states. Both these states influence the forming of brain connections between systems of imagination and control, and these systems normally don’t communicate very much. 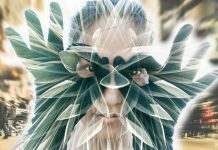 Practicing creative expression certainly leads us to become better at it, but research now shows that psychedelics such as ayahuasca might have a more lasting influence on divergent thinking, too, raising the question: Are we learning to become more creative under the influence of psychedelics? Professionally conducted psychedelic experiences regularly involve awe-inspiring states that are full of wonder and mystery. They can be so powerful we are forced to be creative simply to come to terms with the novelties of consciousness they present. They can provide such beautiful, intense opportunities to get out of the confines of our usual thinking and experience astounding realizations and visions. Science, in this case, can only confirm the obvious: integrating these visions into real life is sure, at the least, to make us more sensitive to the limits of the mental “boxes” we place ourselves in, if not to help us jump out of them more easily.